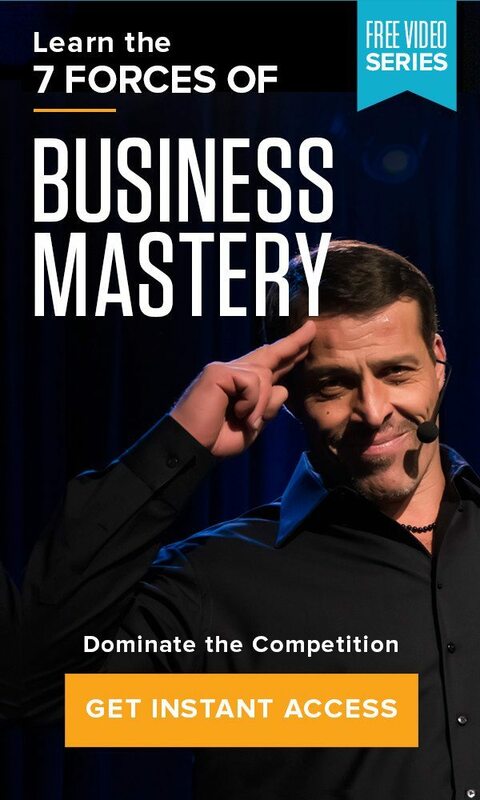 Home » The Tony Robbins Blog » Career & Business » Are you a wantrapreneur? You have a brilliant idea that you just know is the next “big thing.” So you register an LLC, order top-of-the-line business cards, design the perfect website. You even write a 50-page business plan. But months and months go by, and you still haven’t made that first dollar. Plain and simple: A wantrapreneur is anyone who spends their time and money on everything else except creating a real business. They focus on the external factors — the business cards, the logo, the website — which may be necessary components of the business down the line, but none of which will make that first sale. Real entrepreneurs, in comparison, care about one thing: building a product or service that people want. That doesn’t mean they won’t build the website or worry about marketing; they just aren’t focused on that. They are concerned with addressing pain points, providing real customer value proposition, and creating a scalable, profitable and sustainable model. Entrepreneurs make progress a priority. They strive to take a step forward — no matter how small a step — every single day. Because they know that if they don’t act on their ideas now, someone else eventually will. Even if their website, prototype or product is not yet complete, they know they must take a leap of faith. Because no idea is unique until it is executed. Steve Jobs, Walt Disney, Oprah, Tim Ferriss. If you look at most successful people in the world, they’ve failed at some point. And you will too if you are going to grow a business — failure is just an inevitable part of the learning curve. The variable is, what will you do with that reality? Wantrapreneurs and entrepreneurs respond to risk in starkly different ways. Wantrapraneurs allow their fear of failure to influence their actions and behavior, and, in most cases, will not take action toward realizing their vision and creating what they intended. They make excuses — no funding, no resources, too difficult to break through — because if they don’t try, they won’t fail. Entrepreneurs may fear failure, but they are more afraid of what life would be like if they don’t follow through. The thought of not giving everything they have to bringing their idea to fruition would be the ultimate failure, and this moves them to action, no matter what. Wantrapreneurs will not take real action until they get their proverbial ducks in a row. Whether it’s the capital they think they need to get the business off the ground, finding the perfect timing, or conducting a more accurate assessment of the market — they want to check off all the boxes before taking action. And eventually, when change does come their way, they become too preoccupied with the details and are not able to adjust and adapt to the big picture. True entrepreneurs do not wait for the funding or additional resources to start up and hit the ground running. They will bootstrap their company, finding ways to get the funds they need. They are scrappy, bringing out their inner ingenuity to find a creative solution to whatever obstacle comes their way. For a true entrepreneur, there is no such thing as a dead end; there are only new opportunities for growth. Building a business is not for the weak. There are extensive moments of doubt and chaos, minimal hard-won successes, countless lessons learned the hard way, crushing amounts of pressure and stress, and prolonged periods of struggle and financial instability. Wantrapraneurs simply do not have what it takes to weather the storm of a startup. And eventually, they call it quits. But the reason is not what you may think, because it has much less to do with skill or acumen and much more to do with their lack of hunger, drive and dedication. Entrepreneurs, on the other hand, are driven by their passion for their business and are clear about why creating this business is a “must” for them. Their business is an extension of who they are as a person — it’s the encapsulation of their beliefs and values. That gives them the emotional juice to keep them going when the challenges show up. And because they have a big enough “why,” they will figure out a way to make anything happen. If any of the above sounds familiar, do not lose hope. This isn’t intended to make you feel worse about your approach thus far to business, it’s meant to wake you up so you can start taking some real action. Ask yourself — Are you ready to start making progress part of your daily ritual? Is the thought of never trying more frightening to you than the potential that you may fail? Is your “why” strong enough to give you the hunger, drive and dedication necessary to get through the challenges? Then make the decision to stop focusing on the minutia and to start building your business. Commit yourself to what matters. Dedicate yourself to overcoming the challenges. And find any way you can to learn from your failures. Entrepreneurship is not for the weak. And it’s not for those with a “good idea.” It’s for the cut above that have no choice but to build their business, because of their passion, their drive, and their belief that a life without trying is a life not lived. Watch this free video series to find out the forces that drive the most successful businesses in the world.